We provide to our clients best quality TRL Cast FH 45 (45%Alumina castable). Our clients can avail from us superior grade TRL Cast FH 45 (45% Alumina castable) which is made by using high quality raw material. Our Medium Purity Castables is widely appreciated by our clients and we offer at industry leading prices. We are manufacture, supplier and expoter of Dense Castables that are commonly used for hot face and back up linings. Our High Alumina Refractory Castables are highly appreciated for low thermal conductivity and low density that assists in conserving heat energy. This range of product consist of prilcretes and prilheat castables for application in various industries like; foundries , ferrous and non ferrous plants, cement plants, boilers, fertilizer plants , steel plants , glass manufacturing units, ceramic plants, oil refineries, etc. Introducing Refrapure: The ultimate inert supports Refrapure is the best product able to survive depressurization and maintain its integrity. We are indulged in offering a best quality range of Alumina Castables in the market. These castable are used for cement industry in cyclone pre heaters, side walls of grate coolers, discharge end of cement rotary kilns, other application area. 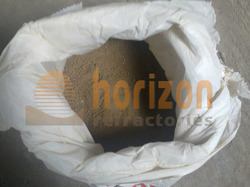 We are supplier of Alumina Castables. 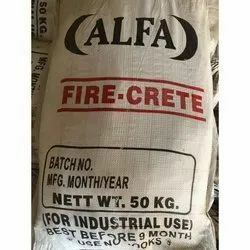 We supply high quality Firecrete (Super) 70% Alumina Castable to our clients. These catables are used extensivelly, for metallurgy and petrochemical industries.